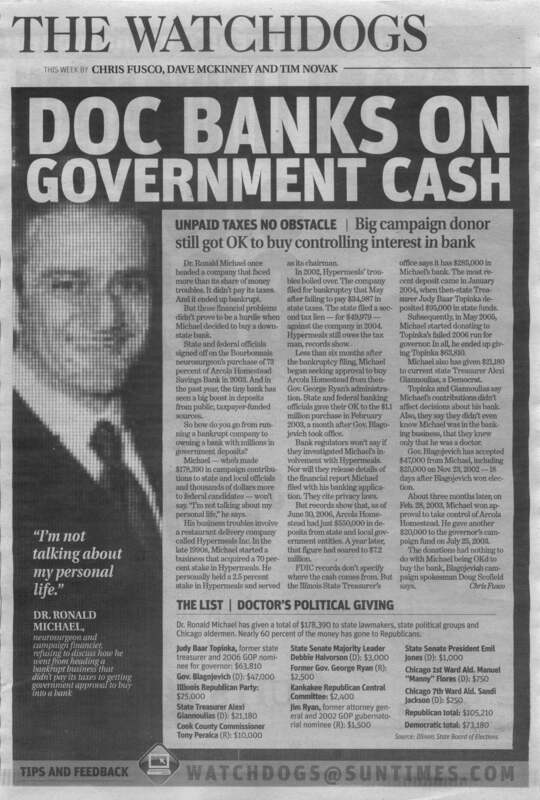 And, it appears the Chicago Sun Times used the picture of Dr. Ronald Michael and George W. Bush that was taken at a 2003 Tony Rezko-sponsored fundraiser in Chicago in a full page article. (1) Why would the Sun Times eliminate President Bush from the picture? (2) Why would Democrat Gov. 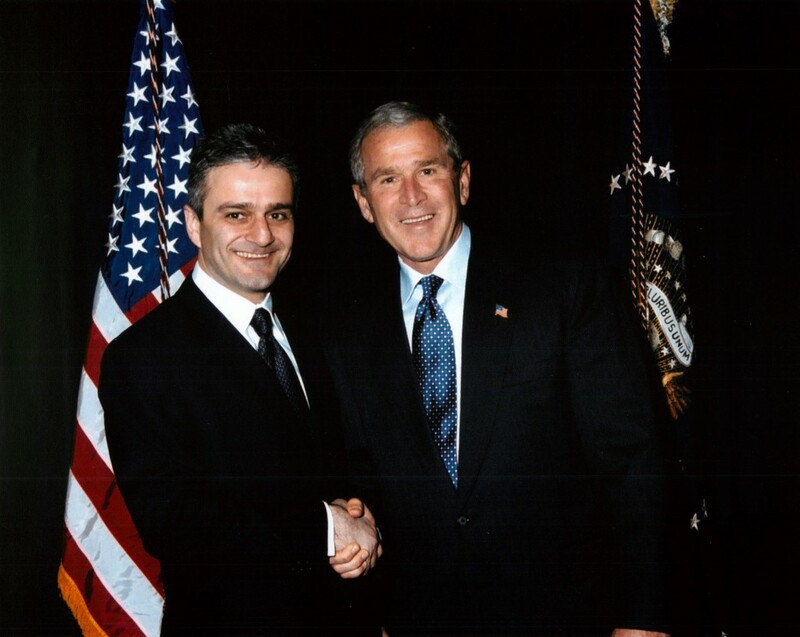 Rod Blagojevich's right-hand man and convicted bagman sponsor a fundraiser for Republican presidential candidate George W. Bush? (3) Why would Rezko co-sponsor a fundraiser for George W. Bush at the same time he is backing Barack Obama's political career? And, wait, wasn't the man that co-sponsored this event with Rezko a buddy of Karl Rove? (4) Where was U.S Attorney Patrick Fitzgerald when all of this was going on right under his nose? (5) What could Nadhmi Auchi's guy, Antoin "Tony" Rezko, tell us about all this?